It is with huge sadness that we are saying goodbye this week to Coexist, our fellow Hamilton House friends and colleagues, who are moving to their new home in St. Annes. Coexist have, over the past 10 years, been instrumental in sparking a social revolution here in Stokes Croft and it is a tragedy on many levels that the social enterprise which helped to create and shape the Hamilton House project are no longer going to be part of the future of this remarkable community and building. 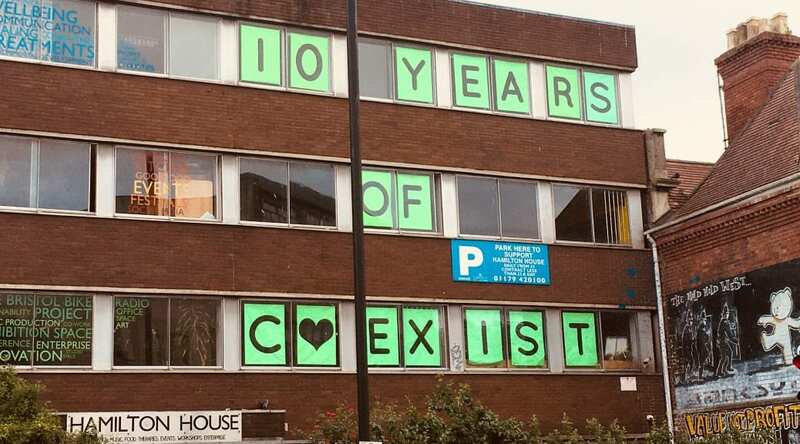 We want to say a big thank you to Coexist for the years of hard graft, community service and cultural leadership and for what has been a decade of rewarding and solid partnership. Coexist has undoubtedly helped to make Hamilton House an internationally renowned centre for culture, community and social interaction, adding to Bristol’s progressive reputation. After what has been a challenging year for everyone involved in Hamilton House we are hopeful that the arrival of Forward Space will bring new opportunities and stability for the next decade. 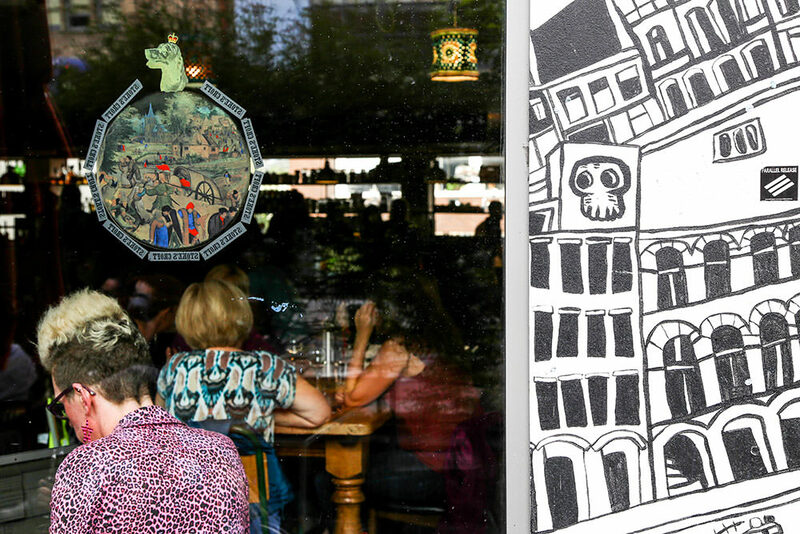 We at The Canteen are proud of the small role we have played in helping to transform Stokes Croft and hope we can continue to serve the local community for many years to come. Whatever happens to the future tenure and management of Hamilton House we hope that The Canteen will remain at its heart and that we can contribute positively to the future vision. Vive la Revolution!